With an intention of increasing its foothold in the US market, Mahindra Group inaugurated the Mahindra GenZe electric two-wheeler facility and the Mahindra North American Technical Center in Southeast Michigan. Also at the launch of the new production facility, Mahindra unveiled its new electric scooter, GenZe for the American market that is slated to be launched soon. The new facility was initiated by Michigan Governor; Rick Snyder and Anand Mahindra, Chairman, Mahindra Group in Ann Arbor. Coming back to the GenZe, it is a full electric scooter that has been developed for urban transport and Mahindra claims that it’s the only two-wheeler vehicle of its kind in the US market. The GenZe has a range of 48km on a full charge of battery and a top speed of 48km/h. Since the Mahindra GenZe is an electric scooter, it can be ridden in most states of USA by riders who don’t have a valid two-wheeler license. The GenZe will be typically used for urban transport and shopping, hence Mahindra has equipped the electric scooter with a generous underseat storage space. The GenZe also features a 7-inch, tablet like touchscreen digital instrumentation console that displays speed, range and other details. The touchscreen display is weather-proof and Bluetooth enabled which this means one can sync your mobile phone with the scooter. 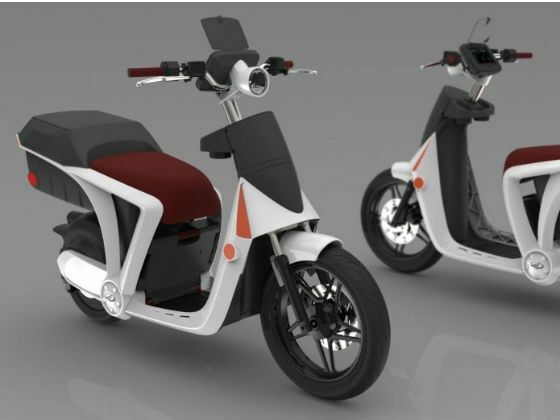 The Mahindra GenZe electric scooter has been developed and conceived in Palo Alto, California. While manufacturing of the electric scooter will be done at the new facility in Ann Arbor, Michigan. The current production capacity of the Michigan facility is 9,000 units per year but Mahindra said it can hike it to 20,000 units depending on demand for the GenZe. The Mahindra North American Technical Center (MNATC) will be utilised to develop new design and technologies that will be part of Mahindra’s future product portfolio. As of now, the MNATC employs 40 engineers and it will be located at Troy, Michigan. Mahindra feels that the technical center will play a crucial part in its vision of becoming one of the top global automotive brands in the next 10 years and it plans to hire a further 85 specialised engineers at its facility in near future.